SupWiz — Offentlig Digitalisering 2018 - Thanks for a great conference! Offentlig Digitalisering 2018 - Thanks for a great conference! Last week, SupWiz attended the yearly 'Offentlig Digitalisering' conference hosted by Dansk IT and presented our work on improving customer experience at our stand. The conference offered a unique insight into the digital transformation going on in the Danish public sector with a large focus on AI, chat bots, and how to improve the service for citizens. SupWiz is happy to be part of this transformation and to work with some of the front-runners in the Danish public sector on their AI journey. 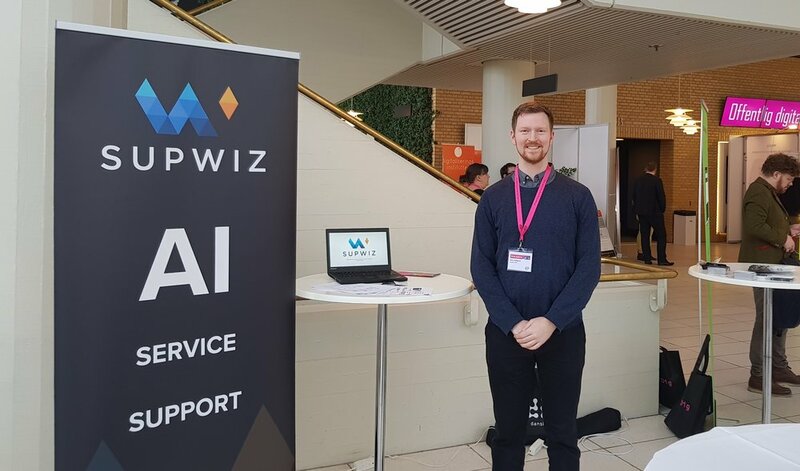 We want to thank Dansk IT for putting together a great conference, and for all the people who managed to stop by our stand and talk about SupWiz and the huge potential of AI tools and chat bots in customer service.